One of Eastbourne's most famous TV and film locations, used in Holywood blockbusters such as Harry Potter, James Bond, Pearl Harbour Robin Hood-Prince of Thieves, Notes on a Scandal, Wimbledon, and many TV series including Luther. With an expert knowledge of the area and hundreds of informative brochures and leaflets at their fingertips, the team are only too happy to answer your questions. Award winning Drusillas Park offers a fun-tastic family day out that includes the best small zoo in Europe where you’ll come face to face with hundreds of exotic animals from monkeys and meerkats to penguins and pandas. World famous fish & chip restaurant and take-away, offering fresh fish, real potato chips and signature mushy peas. Comfortable, attractive restaurant and extensive outside dining area. A railway adventure in Eastbourne. Travel for nearly a mile on the 1/8th scale miniature trains. There's a nature walk around the lake, adventure playground, model railways, cafe and gift shop. 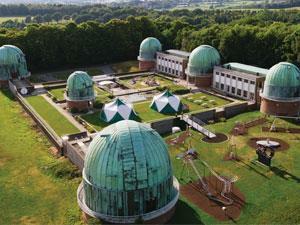 The Observatory Science Centre is one of the leading """"hands-on"""" science centres with over 100 exhibits. The Beach Deck is one of the few places you can truly relax whilst enjoying delicious dishes, inspired by the jaw dropping beach surroundings right on Eastbourne seafront. Urban Jump offers something for everyone. 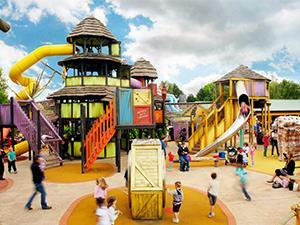 We have trampolines, a soft play area and an Urban Rainforest Experience all under one roof. Towner, the contemporary art museum, is Eastbourne's new art gallery and centre for the visual arts in the South East. TJ's is a stylish nightclub with 3 bars and a variety of music split over 2 floors. It is the place to be for party people. Visit TJ's for classic cocktails, a night of dancing and regular live music. Visit us in the heart of South East to enjoy a wonderful ride through the High Weald countryside. Experience the nostalgic and memorable sights, sounds and smells of a working heritage railway. Find out about the fascinating history of Eastbourne, the 'Empress of Watering Places', with this experienced local guide. From Eastbourne Pier to the Grand Hotel. Discover over 200 year of history at this iconic seafront fortress, recognised by English Heritage as being of national importance. Fort Fun provides a multitude of indoor and outdoor amusement, exhilarating play areas, mini golf adventures, bouncy fun and so much more, all on the beautiful Eastbourne seafront. Formerly an old pub, Bill’s Eastbourne restaurant is in a great location, right in the middle of the town, with seating inside and out. A quaint village in Eastbourne full of charm, inbetween the town centre and Beachy Head. Browse shops or enjoy stunning views across the seafront from the upper promenade. A fresh way to enjoy the sights of Eastbourne. Come and hit the beach with us and try one of our single or double kayaks or the increasingly popular sport of stand up paddle boarding. Cloaked in mystery and protected by its impressive ramparts, Newhaven Fort has been keeping secrets safely hidden for almost 150 years.